Quick– to the comics shop, Robin! We’ve already covered some of Diamond Select Toys’ Classic Batman TV Series Busts (namely the Dynamic Duo themselves, Adam West and Burt Ward as Batman and Robin.) Nonetheless, we’re proud to announce that there’s plenty more to come from Diamond Select, particularly where Batman’s fearsome foes are concerned! We took a look at DST’s booth at New York Comic-Con, and were treated to an advance peek at the next few releases for their line of Batman busts. 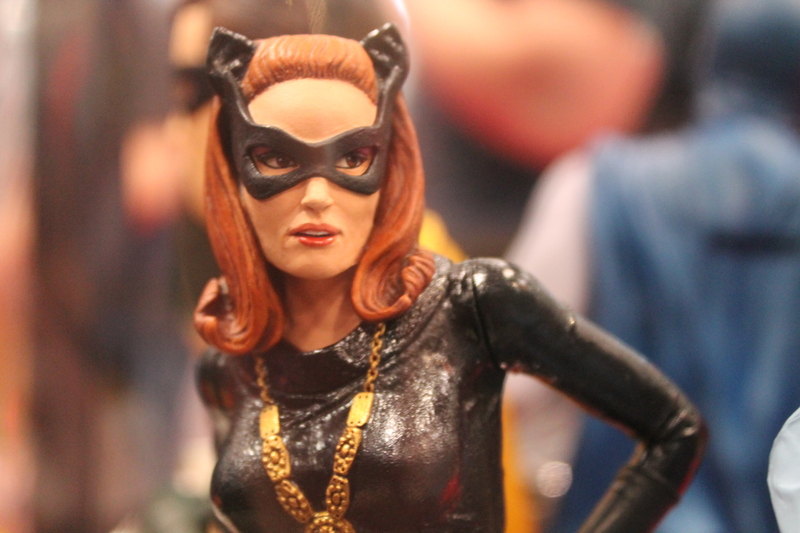 Finally, we got a special look at the next bust in the lineup after Riddler, Julie Newmar as Catwoman! While at NYCC, we also were able to see prototype versions of the upcoming Mr. Freeze and Penguin busts, immortalizing the Otto Preminger and Burgess Meredith versions of the characters. We weren’t allowed to photograph those two (since they’re still in the early stages of development), but you can catch a glimpse of the concept art for them in our video of the Diamond Select Toys “Best of All Worlds” Panel, embedded below. 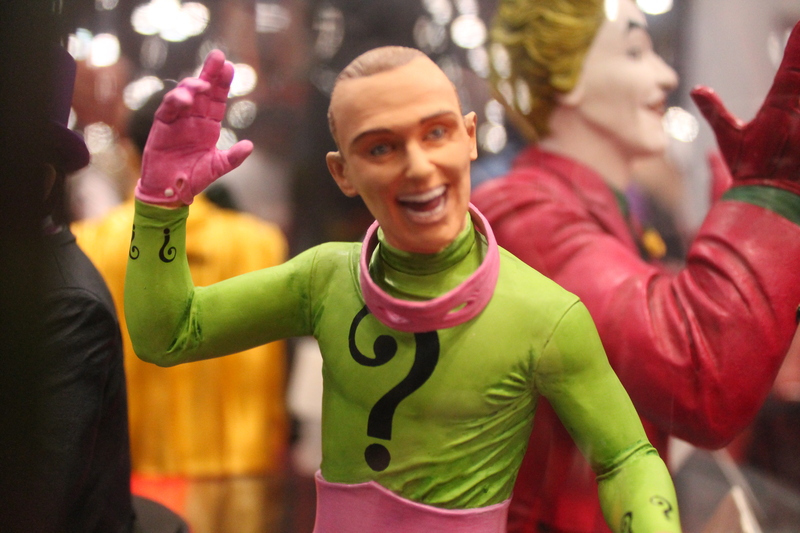 We also spoke with Diamond Select Toys’ Director of Marketing Zach Oat, who hinted that the company has big plans for the rest of the Batman Classic TV Series Bust line, though as far as what characters will be adapted after these five… well, you’ll have to wait and see! ← Lego Batman 3 Countdown Character 2/20– Giganta!